HireRussians offers the most cost-effective and reliable VoIP (Voice over IP) and Asterisk installation and customization for any business need, thus ensuring the quality of your IT structure and communication services. We have extensive experience in setting up and configuring VoIP systems integrated with hardware such as Cisco, Dlink and Avaya. Security: VoIP can be integrated with Smart Home systems to deliver secure remote access to your home or office. Business Automation: Your VoIP gateway can be integrated with CRM/Call Center or ERP systems. All the advantages of digital voice streams, i.e. recording, database integration, and routing, are free. Communication: HireRussians has deployed and tuned a new communication system based on the Asterisk Open-Source Project. 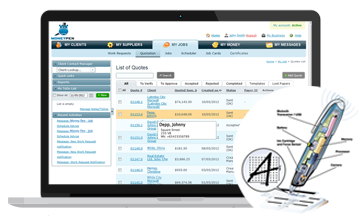 This system can be easily integrated with your corporate software, without reinventing the wheel. And while we’re on the subject of communication, why not hire VoIP experts to establish phone connections or investigate options for implementing Videotelephony? Voix Manager and Phone comes with an IAX2 phone and a self-configuring interface to manage internal and external phone lines (VoIP, POTS or ISDN). 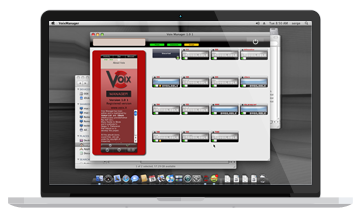 Voix Phone is a multiplatform IAX soft phone with a Voix Manager-derived engine. 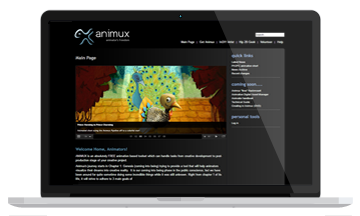 Animux is an open-source Linux-based OS with 50+ applications and 60 tools designed for animators. Perfect for creating live action audio/video digital assets, Animux effortlessly executes tasks like pre-production, production and post-production of graphics, audio and video. When we started this project, each one of us had our own self-doubts and apprehensions. We had never worked together before and had to build the trust and camaraderie that would aid in carrying us through the rough patches. And we had quite a few of them on this project.